One of the various jobs I did in Sicily was technical translations. I specialised in translating and co-authoring medical textbooks and research papers, and legal documents. You may think this sounds dull but, trust me, they are far more entertaining than regular translations. By doing this job, I learnt that Italian doctors are world leaders in brilliance, whilst most Italian lawyers are slightly less intelligent than earthworms. I often had legal clients trying to check every single thing I wrote in a translation, because they could not understand how ten pages of Italian can turn into four pages of English. They would pore over the two documents, searching for the words I had “missed out”. I suppose they enjoyed it. Poring over documents is what lawyers do, isn’t it? And then they would argue. Winning arguments is a lawyer’s job, too. It’s what lawyers think they are best at. At least they do, until they meet me. Italian Lawyer: In Italian it says “on the date 8th August 2013” and in English it doesn’t say “date”. Me: That’s because English lawyers are clever enough to realise for themselves that 8th August is a date. I’m willing to bet that they billed someone for their side of those arguments. – will you come back to Sicily? 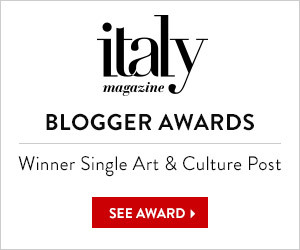 – are you fed up with Sicily? the misterious India for the retired British colonels or something to remove progressively from your mind? – do you miss Sicily? – are you happy in Old England ? psycological insight( just to understand who I am – as a Sicilian and as a person. Well, so far I am loving my job and so I plan to return to Sicily on holidays but not to live. I always said Sicily is great for holidays and fun but not for the serious stuff like earning a living or getting an education. Life is so hard there, everything is a struggle or a battle. With my sense of humor it gave me a lot of scope for joking but to be honest, when it came to money worries and my son having problems at school, the joking was only ever bravado and the stress was gnawing my insides out. Do I miss Sicily? I miss my friends there and I miss the lovely weather and the beach, but to be honest, I am so happy in England and even more important, my son is so happy at school, that I am not missing it too much. my husband is very happy here too which is the icing on the cake and the confirmation that coming here was good for everyone. 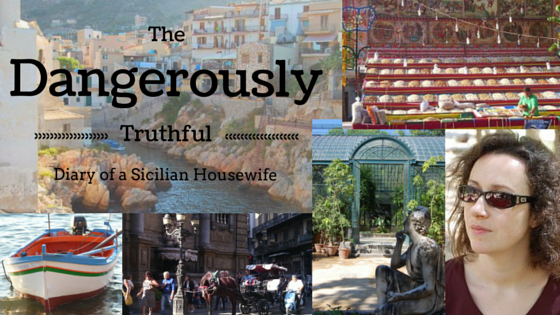 I learned a great deal from being in Sicily and so I would never wish I had missed that experience. Above all I learned to understand my husband’s culture and home properly, learned his language, and gave our son a pure Sicilian start in life so that he will always be not only bilingual but also bi-cultural. Basically I brought two Sicilians back home with me, which really should tell you all you need to know about the special place it has in my heart!!!! I enjoy your articles very much whether they are written in Sicily or the UK, but I have the same questions as Mr. Di Maria. Perhaps the answers could be in another article. Are we too inquisitive? As an American, I second this. Love it! Also, just saw the news that you are back in England and enjoying it too. Maybe you have become more Sicilian than you realize and are going to apply your wonderful sense of humor to the Brits who you now see with fresh eyes? I do hope so. Ha haaa! Yes I do find myself laughing at our comical habits far more now I can see them through almost Sicilian eyes! And my dear Hubby’s bewilderment at some of our oddest habits is definitely worth of a blog post or two! How is your book coming along? Aopart from little time for blogging I am having little time to read blogs either… have you resumed blogging? Ah! Although in sifting through my solicitor relations I have to tell you that some English lawyers aren’t…. But let’s not name any names, though!!! !